Scott County's Award-Winning Home Builder | Best of Houzz 2018! At Xpand, Inc., we’re a family-owned business and that means the world to us. Every project – whether a custom home, kitchen remodel, deck or any of the other work we specialize in – is built with pride, craftsmanship and the knowledge that our name is on it. In reality, everyone in our industry says these things about themselves, and many times they’re telling you the truth. They, like us, deeply care about your project, and bringing it to life. But what sets Xpand apart is our vision. We’ve always looked at projects and thought about how to take them far beyond the usual things any contractor can do. We ask “Why not?” in a world full of “why?” Because we’re never content to just do the easy or quick thing, our work stands out among our peers’ and no matter how busy we are or how much we grow, we’ll never abandon that philosophy. MISSION: Xpand Inc. is committed to guiding a project from beginning to end and providing the owner with a finished product that meets or exceeds their expectations, enabling them to “Xpand their environment”. OUR VALUES: Because we’re a family-owned business, we know and honor the values of personal honesty and commitment. No matter the size of the project, we enjoy our work and take pride in our craftsmanship. We value our safety and the safety of those around us, and take great measures to maintain a safe job site. OUR PRINCIPLES: Use a Quality product in all phases of construction; Work in partnership with the homeowner and be accountable for quality results, dedicated financial integrity and cost-effectiveness; Be inspired, be innovative, and be leaders in our industry. Since 1980, Lee Lyn Construction has represented the highest level of value through quality as a custom home builder in the Twin Cities Western Suburbs. Lee Lyn Construction's owner, Curt Christensen, is a 4th generation builder and general contractor. Curt takes great pride in his hands-on approach to the business of building your new home. For Shakopee residential home builders who also act as developers, the job starts well before the first nail is driven. They perform local market research to determine whether the prospective homesites make sense in the Shakopee, MN market, as well as survey the land on which the house will be built to make sure it is suitable for construction. Custom builders also obtain the necessary permits. 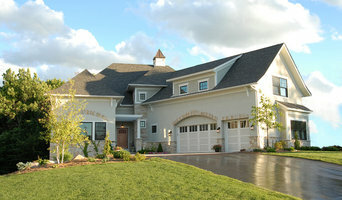 A good custom home builder in Shakopee, MN has skills that go far beyond construction — he or she must supervise subcontractors and artisans; keep tabs on local zoning regulations, building codes and other legalities; inspect work for problems along the way; and perform dozens of other roles that are essential in building a quality house. Here are some related professionals and vendors to complement the work of home builders: Interior Designers & Decorators, Landscape Architects & Landscape Designers, Architects & Building Designers, Kitchen & Bath Designers, Specialty Contractors. House builders are responsible for ensuring that the home-building project sticks as closely as possible to the specified timetable, particularly in the event of change orders. Custom and luxury home builders in Shakopee, MN also need interpersonal skills to deal with clients of all types, soothe frazzled nerves, negotiate conflicts and resolve problems. 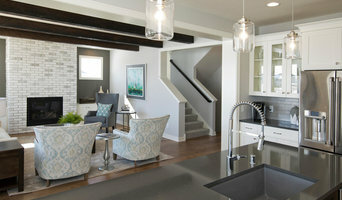 Find custom home builders in Shakopee, MN on Houzz. Narrow your search in the Professionals section of the website to Shakopee, MN home builders. You can also look through Shakopee, MN photos to find a house you like, then contact the builder who worked on it.